Numerous academic organizations are making their move to the cloud lately as cloud technology provides many advantages for all types of organizations. Some of the most important benefits for organizations include savings on infrastructure costs, maximum uptime, and centralized management for applications. One of the most popular public cloud software programs is Microsoft Office 365. 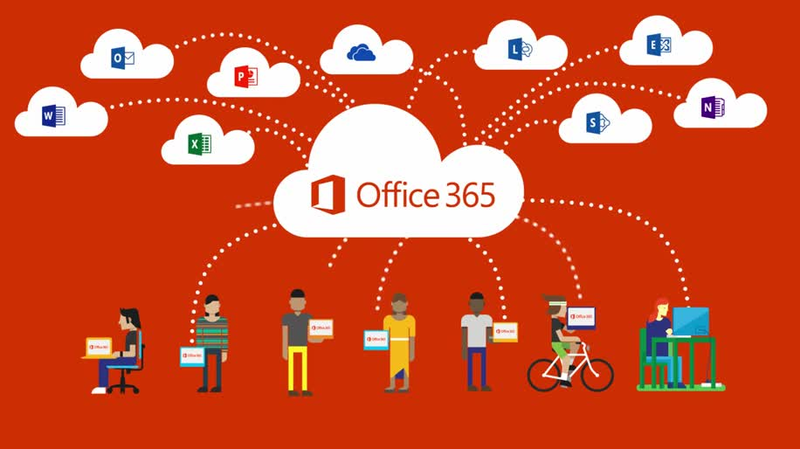 Microsoft Office 365 combines the advantages of cloud technology with the traditional foundation of on-premise software offerings, that is the physical, desktop versions of Office programs. It allows Office applications to be available from multiple computers or devices and also provides storage space on Microsoft's OneDrive. Microsoft has multiple licensing options for Office 365 including special plans designed for accredited education organizations such as the E1 or E3 plans. Office 365 Education Plan E1 is available at no cost for qualified academic institutions. For student or faculty users, the E1 plan includes online versions of Office applications such as Word, Excel, and PowerPoint. Users each have 1TB OneDrive accounts for file storage and sharing as well as a 50GB inbox for a business-class email experience with connected calendar and contacts. Users also have unlimited online meetings, IM, and HD video conferencing via Lync. Additional features include an intranet site with customizable security settings, a corporate social network and video portal, and Office Graph creates personalized searches across Office 365. The E1 licensing model would be the best fit for schools who currently have physical licenses of Office applications, 2007 or later, but want to experience the benefits of cloud storage and sharing capabilities. Office 365 Education Plan E3 includes all E1 features plus more advanced features for $2.50 per student user per month and $4.50 per faculty user per month. The advanced features of the E3 plan start with full, installed Office applications on up to 5 PCs or Macs per user. Additionally, Office for tablets and phones is provided for up to 5 Windows or iPad tablets and up to 5 phones per user. The E3 plan also allows enterprise management of applications with Group Policy, Telemetry, and Shared Computer Activation. The self-service Business Intelligence is available to increase collaboration capabilities and insights into Excel data. The eDiscovery Center is also included for centralized Exchange and SharePoint management. Lastly, the E3 plan provides hosted voicemail support including auto attendant capabilities. Schools looking to upgrade their Office applications without physical licenses, as well as have centralized management should consider the E3 licensing model. For education organizations whose needs require mobility and hassle-free upgrades of applications, but do not require 50GB mailboxes or enterprise-level management, the Office 365 ProPlus licensing model is a more cost-effective option to meet their needs. For qualifying institutions, the ProPlus license is available for $2.00 per user per month, and includes full, installed Office applications on up to 5 PCs or Macs, 5 tablets, and 5 phones per user, Office applications online, 1TB of file storage and sharing per user via OneDrive, and self-service Business Intelligence in Excel. Some important elements to keep in mind for your users to have the best experience with Office 365 is to utilize the latest internet browsers and at least Office 2010 for lower license models, such as E1, that do not include full, installed versions of Office applications with the program. Office 2013 further enhances the user experience by allowing users to sign-in directly to Office 365. This enables users to save documents created on physical Office applications to their OneDrive accounts or to SharePoint sites, therein allowing users to collaborate more efficiently. Outlook Web App (OWA) also enables users to easily share and collaborate on documents. Recipients of emails with shared documents automatically have edit rights and are able to work on a single version of the document. To learn more about Office 365 implementation tips and discover how a private high school implemented an Education (E3) Plan through Aventis Systems' Advanced IT Services, watch the quick webinar, "Quick Tips for Easy Microsoft Office 365 Migrations."